It is almost impossible nowadays to read through the comment sections of forums, blogs, discussion boards without being disturbed by numerous comments advertising products or services or leading to such websites. Spammers are a real problem and fighting them has proven a real arms race over the years as they constantly employ new methods to overcome existing filtering practices. 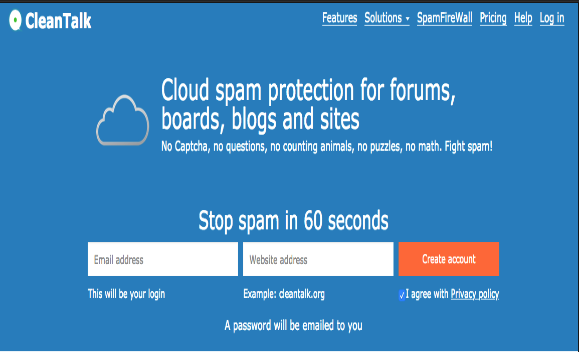 In fact, most of the activity produced by such spammers can be attributed to computer bots that can register as users and post thousands of comments in no time. To fight this, different methods are employed, such as requiring users to introduce numbers from captcha images or to solve simple but still time-consuming puzzles. 10-20 seconds spent on this might not sound a lot, but for registering on a website, this can be annoyingly long, considering that other information is also to be provided and this consumes additional time. The same goes for posting comments and other activities. Some companies have come with efficient solutions for dealing with this problem without affecting user experience, providing an absolutely seamless integration of spam filtering and identity check for the user. 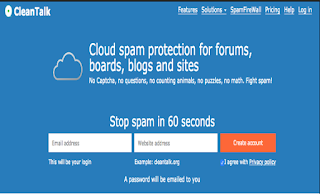 To identify spam-related visitors or accounts, such cloud anti-spam products can check IP or email in the spam database of blacklisted addresses they possess. the types of activity associated with the IP (certain IPs can be considered more dangerous than others, for instance, if they are involved in financial fraud). Obviously, the quality of the anti-spam product offered by the company is directly dependent on the quality of the database and the types of information included but also on the size of the community reporting spammers.